W. H. Freeman, 1978, 1978. trade paperback in very good condition.. Soft cover. Very Good. Saint Louis, MO, U.S.A.: Harcourt Health Sciences Group, 1980, 1980. Hardback in near fine condition.. Hardcover. Fine. 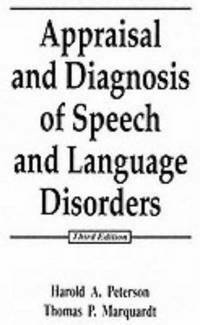 Appraisal and Diagnosis of Speech Disorders. 3rd Edition. By Peterson, Harold A.; Marquardt, Thomas P.
Paramus, NJ, U.S.A.: Prentice Hall PTR, 1994, 1994. Hardcover in very good condition. A little underlining.. Hardcover. Very Good. 1970 J. & A. Churchill, 1970. Hardback in very good condition.. Hardcover. Very Good. By Alpiner, Jerome G.; McCarthy, Patricia A.
Philadelphia, PA, U.S.A.: Lippincott Williams & Wilkins, 1987, 1987. Hardback in very good condition. A little highlighting.. Hardcover. 1985 Prentice-Hall, 1985. Hardcover in fine condition with very good + dust jacket.. Hardcover. Fine/Very Good. J. B. Lippincott Company, 1968, 1968. hardback in good condition.. Hardcover. Good. 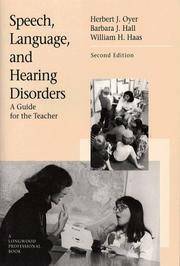 Speech, Language, and Hearing Disorders : A Guide for the Teacher. 2ND ED. 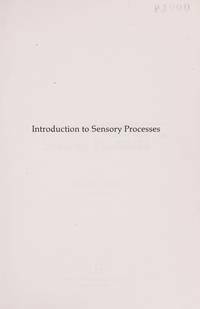 By Oyer, Herbert J.; Hall, Barbara J.; Haas, William H.
Boston, MA, U.S.A.: Allyn & Bacon, Incorporated, 1993, 1993. TRADE PAPERBACK IN VERY GOOD CONDITION. A FEW PAGES HAVE HIGHLIGHTING.. Soft cover. Good. Research Design and Evaluation in Speech-Language Pathology and Audiology. 2ND ED. Paramus, NJ, U.S.A.: Prentice Hall PTR, 1984, 1984. hardback in very good condition. A LITTLE HIGHLIGHTING.. Hardcover. Good.